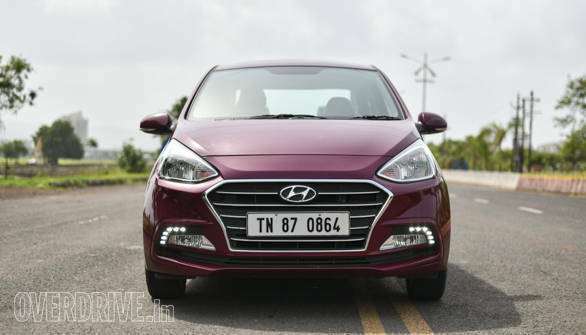 Hyundai Motor India has updated the Hyundai Xcent sub-four-metre sedan with new safety features as standard. The base E trim now gets ABS and EBD as standard, along with the already present driver and front passenger airbags. The Xcent's diesel motor put out figures of 75PS and 190Nm from a 1.2-litre unit. The motor is mated to a 5-speed manual and the claimed economy is 25.14kmpl, 1kmpl more than the Grand. A 1.2-litre petrol motor is also available which puts out 83PS and 114 Nm. The Hyundai Xcent comes in four trim levels - E, S, SX, SX(O). Notable features are LED DRLs, 15-inch diamond-cut alloy wheels, shark fin antenna, passive keyless entry. The interior gets engine start-stop button, automatic climate control, rear AC vent, rear seat armrest with cupholder, leather-wrapped steering wheel and a seven-inch touchscreen infotainment system. Prices for the Hyundai Xcent starts at Rs 5.46 lakh for the E petrol and goes up to Rs 8.49 lakh for the SX(O) diesel. All prices ex-showroom Delhi.